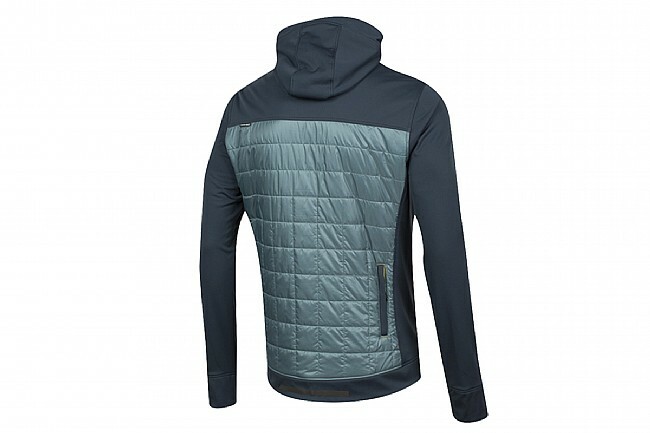 The Pearl Izumi Men's Versa Quilted Hoodie is a versatile piece of riding apparel that transitions easily from in-the-saddle to on-the-streets. Perfect for running errands on two wheels, this lightweight, water-resistant softshell jacket keeps out the elements for comfortable riding. 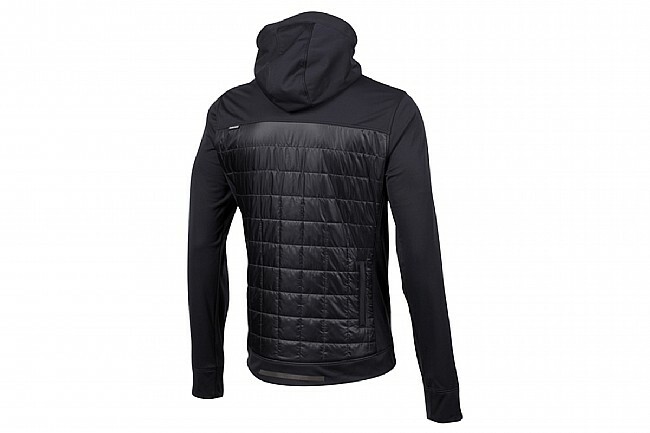 Featuring Primaloft insulation, this hoodie manages to keep the chill at bay without resulting in a sweaty, clammy ride. Two hand pockets and a zippered chest pocket allow for additional coverage when off the bike while keeping the valuables close at hand. 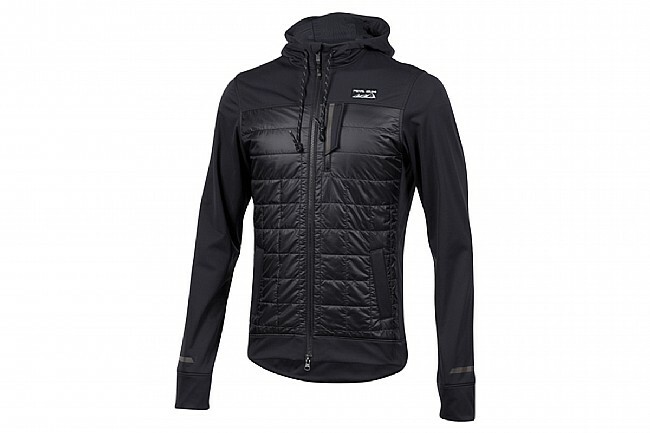 I use hoodie jacket as my third layer on those days when it's under 40 - 45 degrees outside, fits great and keeps me warm, side pockets are roomy but I think I'd rather have a zipper than a snap. Overall I Love this hoodie!